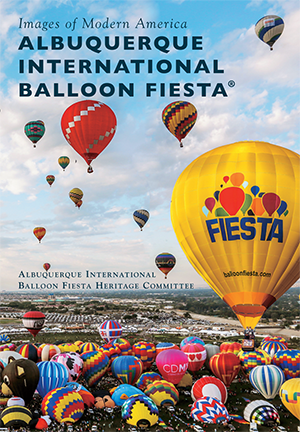 From its humble beginning in 1972 when 13 hot-air balloons ascended from an Albuquerque shopping center parking lot to a stunning annual gathering of 500-plus aeronauts, the Albuquerque International Balloon Fiesta lives on as the most-photographed air show on the planet. As you page through this book, imagine yourself going along for the ride and soaring to new heights. Or if you prefer to keep your feet on the ground, imagine yourself strolling among hundreds of swaying giants, seemingly lost in a dizzying kaleidoscope of color. Join in the camaraderie that draws pilots and fans to Albuquerque from all over the world. You will find yourself mesmerized by the Balloon Fiesta's signature events and its spirited competition among hot-air balloon pilots. As an added attraction, step back in time to when hydrogen-gas balloons once graced Albuquerque skies and enjoy the fascinating world of silent flight, the America's Challenge Gas Balloon Race. Using images from individual collections and professional photographers, seven members of the Albuquerque International Balloon Fiesta Heritage Committee (AIBFHC) collaborated to launch this very special book—special because it captures the transformation of ballooning in Albuquerque from a whimsical balloon rally to an annual nine-day aerial extravaganza, the world's premier ballooning event.